PF Chang’s Chicken Lettuce Wraps. Perfect as an appetizer or a healthy dinner! 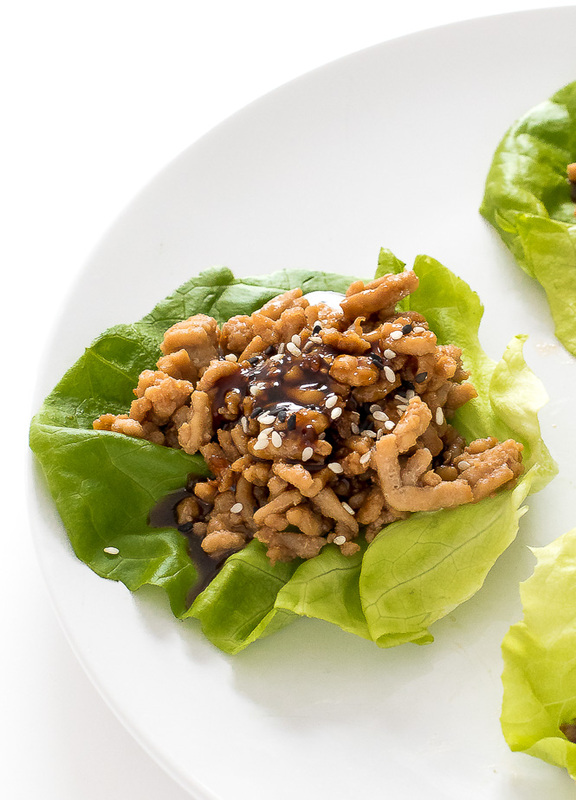 These PF Chang Copycat Chicken Lettuce Wraps are a perfect low carb healthy dinner option! With the start of the New Year I am trying to eat healthier and lettuce wraps are one of my favorite healthy meals. 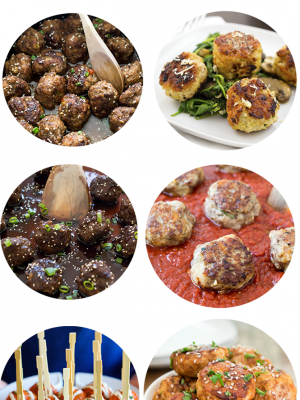 They are super easy to whip up and make the perfect lunch or dinner. 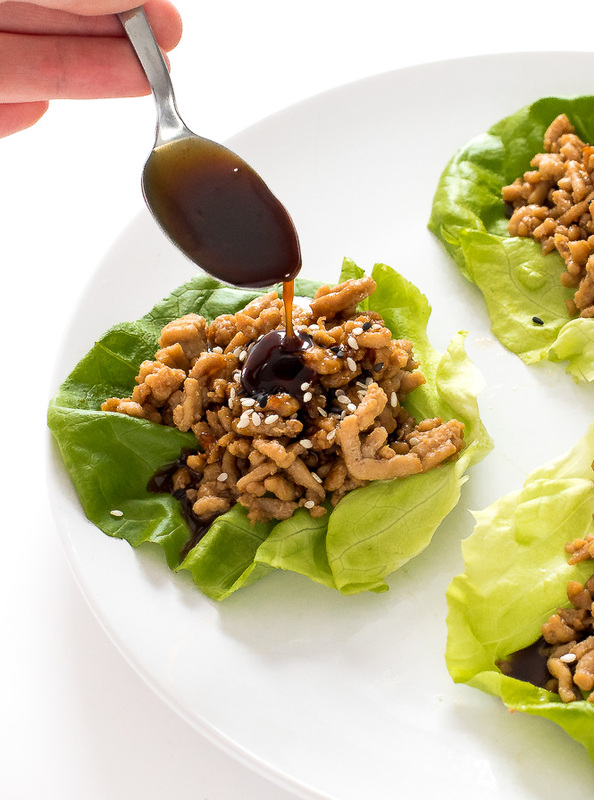 These Chicken Lettuce Wraps taste just like PF Chang’s famous recipe. I use ground chicken, hoisin sauce, soy sauce, sriracha, rice wine vinegar, garlic and ginger. Best of all this recipe comes together in under 30 minutes. While the chicken is cooking I mix together the sauce ingredients. Once the chicken is cooked I add in the sauce and simmer until thickened. When it’s ready I serve it on a bed of bib lettuce with a sprinkle of sesame seeds for garnish! 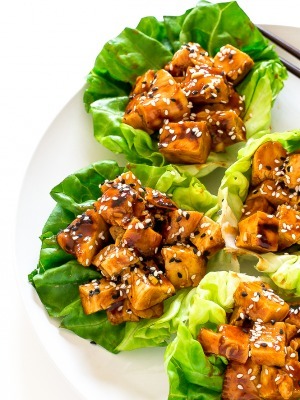 PF Chang's Chicken Lettuce Wraps. Perfect as an appetizer or a healthy dinner! Heat oil in a large skillet. Add chicken and cook until browned and no longer pink. Drain excess fat. While the chicken is cooking combine sesame oil, hoisin sauce, rice wine vinegar and sriracha in a small bowl, set aside. Add the garlic and ginger to the skillet with the chicken and cook for 1-2 minutes. Stir in the sauce and simmer until thickened 2-3 minutes. 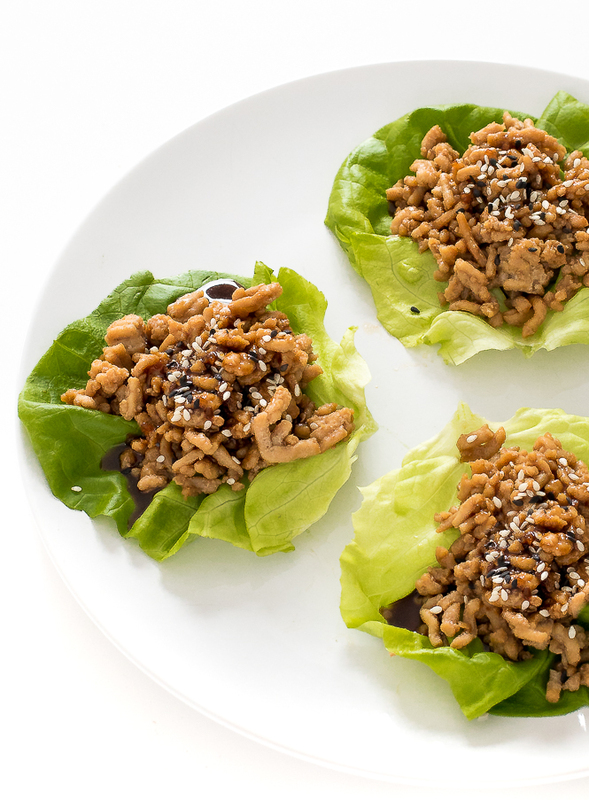 To serve, spoon several tablespoons of the chicken mixture into the lettuce cups. Serve immediately. The chicken wrapped in the lettuce looks so crunchy and vibrant, my mouth is watering! Thank you so much for such an amazing recipe!